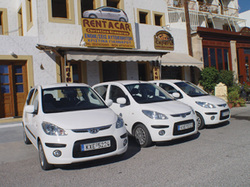 Located in Skala port, GIANAROU Rent a Car is well positioned to provide its clients with the best of service and rates. With one of the youngest fleets available on the island, GIANAROU Rent a Car can provide you with the best quality automobiles in the car rental market.!! All cars are insured with simple or CDW insurance, 2nd driver insured for FREE.